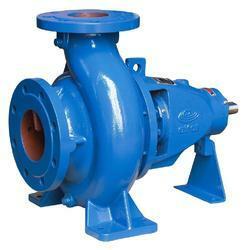 Manufacturer of a wide range of products which include centrifugal pump for fountains. Leveraging on our industry expertise, we bring forth quality approved Centrifugal Pump for Fountains. Known for their excellent working efficiency, our products are widely demanded in the market. High performance to ensure maximum turnover rate of water. Designed for easy maintenance and repairs. Looking for Centrifugal Pump for Fountains ?